How can I market my business on a small budget? The problem many small businesses face is how to market their business without breaking the bank. Marketing on a small budget is a constant concern for small businesses. To answer that growing question, we partnered with Ebong Eka, CPA, small business expert, to provide the answers to the Top Ten Ways to Market your Small Business on a Budget in our Twitter Chat (#OomaBizChat)! 1. What’s the best social media platform to use for marketing? Depends on where your audience is and where they spend the majority of their time. However, live streaming apps like Periscope and Blab.im have become game changers for the business world! 2. A mentor suggested Facebook ads, what if my customers aren’t on Facebook? Facebook is the #1 platform for business in terms of impact and users. Use paid ads and start off with a small budget like $3- $5/day. Build strong content marketing assets to share with your audience. Also remember, “Likes” don’t necessarily turn into dollars. 3. I wear many hats at my company. How do I find time to market to my customers? Spend your time and effort where you want to see a return on investment. Designate an hour a day towards marketing- and add more time as you see needed. Join networking groups that focus on Facebook and social media. 4. If I have $200 to spend, what are the best platforms to market my business? Use Facebook power editor to create dark (sponsored) posts and target it to specific audience (interests, zip codes, income levels, etc.) or even model your ads after your competitors. 5. TV is expensive, are there other areas that I should focus my marketing efforts on? Social Media has an unlimited reach. Original or sponsored content on YouTube depending on your audience and how they consume content. Blog about solutions to problems that your potential customers may be facing. BIG 5 Social Platforms: LinkedIn, Instagram, YouTube, Twitter, Facebook – You can also throw Pinterest in the mix! 6. What are 2 quick ways to get media and marketing attention for a small business for less than $200? Create Facebook ads for $5/day and mirror your competitors’ audience using Facebook Editor. Create lead generation campaigns including free ebooks, workbooks or resources in exchange for a customer email address. 7. Why should small businesses do email marketing? Isn’t email marketing dead? 8. What are the Top 4 mistakes small businesses make with marketing? Focusing solely on one marketing platform without data to support the decision or researching the social channels their customers spend most of their time using. Not willing to spend money on advertising and not understanding the platform where marketing dollars are spent. Not paying attention to the analytical data from their marketing efforts. For example, not knowing the cost of customer acquisition in relation to the marketing dollars spent. 9. Are blogs still a great way to market for cheap or should small businesses focus on social media? Re-purpose content that you’ve seen do well online. For example, re-purpose (reuse) the content that gets the most engagement, shares, likes and comments. 10. What are the best tools to brand your business with a small budget? 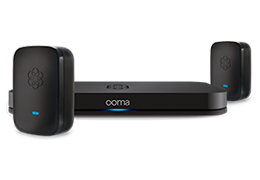 Phone system: Ooma Office- includes features to make you sound like a big business without the big costs. You can forward incoming calls to your mobile phone with the mobile app. 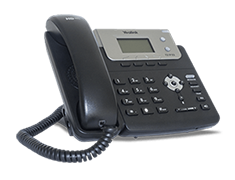 You can also create separate phone lines for others members of your company. Websites: WordPress – This content management software makes it easier to make changes to your site. Marketing is the lifeblood to any business. Without marketing, you won’t get clients and without clients, you won’t grow your sales! Even if you’re not a techie, social media is a great platform to grow your business and your brand, which leads to growing your sales! I was having trouble with my business but after reading this it helped me to understand how business works. Very helpful blog. lots of information about marketing the business. It will be very helpful. Especially for a new businessman. Thanks a lot.